MT Targi Polska has joined the laureates of the “Teraz Polska” Emblem. 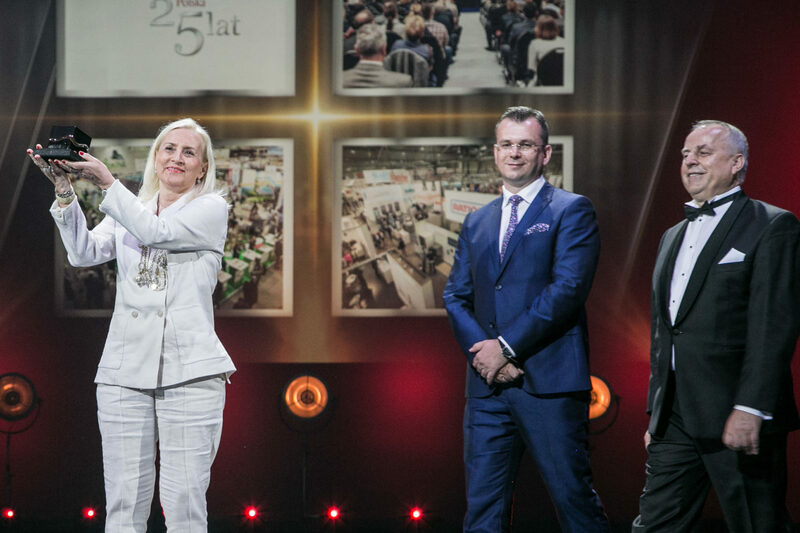 During an official gala held on 29th May this year at the Grand Theatre in Warsaw, a total of 13 products, 9 services, 3 innovative projects and 3 communes were awarded. For more than 25 years, the “Teraz Polska” Foundation has been honouring products and services that are the best in terms of quality, technology and practical value. The “Teraz Polska” Emblem enjoys trust, good reputation and public recognition; it is also a safeguard of the top level quality that consumers are provided with by purchasing an awarded product or service. The MT Targi Polska Company was awarded the “Teraz Polska” Emblem in the 27th edition of the competition. – “Teraz Polska” competition has been organised for over 25 years now. During this time, we became more aware consumers as a nation. While doing shopping, we primarily focus on quality. This means that the “Teraz Polska” Emblem is very much needed nowadays. From its very origins, it has become a symbol of the highest quality, a kind of a signpost for consumers. Poles do know that this white and red logo stands for nothing but best – explains Krzysztof Przybył, President of the Foundation of the Polish Promotional Emblem. According to Urszula Potęga, President of MT Targi Polska, awarding the “Teraz Polska” Emblem is a prestigious distinction and recognition of the quality of services provided. – It is also a recognition for the effort of the entire team that for many years has consistently created valuable trade fair events. I am pleased with the fact that our services have been rewarded, and we will proudly present our logo to our customers. It motivates us even more to further develop our offer and keep on ensuring the highest quality possible, she emphasizes. 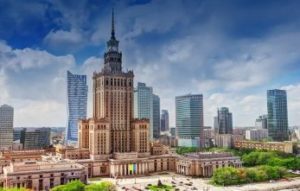 MT Targi Polska is one of the leading trade fair organizers in Poland, which has been operating in the exhibition industry for 25 years. It specializes in organising events for such sectors as: tourism, hospitality, food and catering, laboratory, forensic science, and protection of national heritage. During the events organized by the company, nearly 30 thousand exhibitors presented their offer, and the events were attended by 1.5 million visitors. The company cooperates with key institutions that grant patronage/auspices and provide content-related support for the trade fair program. Exhibition events organized by MT Targi Polska constitute an important economic event for each of the supported sectors.